Adam Bodnar ist der Beauftragte für Bürgerrechte (Ombudsman) der Republik Polen. Zuvor war er Professor am Center of Human Rights an der juristischen Fakultät der Universität Warschau und stellvertretender Vorsitzender des Beirats der Helsinki Foundation of Human Rights. The Constitution of the Republic of Poland provides, in Article 62, that citizens of Poland have the right to elect the President, Sejm deputies, senators and members of the local government bodies. Pursuant to subsection 2 of the article, certain groups of people, including legally incapacitated persons, are deprived of the right to vote. Until recently, the issue has not been raising any controversies, both in Poland and in a few countries abroad. However, the 2010 judgment of the European Court of Human Rights in Alajos Kiss v. Hungary has changed the legal approach to the electoral rights of persons without legal capacity. Mr Kiss was suffering from manic depression. He argued that his incapacitation should not affect his electoral rights. The applicant contested a blanket and automatic denial of his voting rights, claiming that any such restriction should be acceptable only if a review of the degree of his intellectual incapacity confirms that his mental status actually affects taken electoral decisions. The Strasbourg Court agreed with the applicant’s submissions. This case was just a beginning. In recent years, a number of institutions, including the Council of Europe Commissioner for Human Rights, the UN High Commissioner on Human Rights, and the Venice Commission, have spoken about the electoral rights of legally incapacitated persons. Also, the Agency of Fundamental Rights published a comprehensive report on this issue, indicating substantial difference in approach to voting rights in the EU Member States. In September 2013, the Committee on the Rights of Persons with Disabilities, a body operating on the basis of the UN Convention on the Rights of Persons with Disabilities, held that any laws that introduce automatic prohibitions for incapacitated persons are discriminatory in their nature (the case of Zsolt Bujdoso and others v. Hungary). It is better to accept all than to illegally exclude anybody. The courts have no tools to ascertain that a given individual should (or should not) be excluded from suffrage. The above ruling can be interpreted as the statement that it would be less harmful for a democracy to have some voters who will make electoral decisions without being fully aware of their consequences than to impose a blanket exclusion of a whole category of individuals. Instead of imposing an en masse exclusion, a state should prepare electoral materials, guidelines and voting lists in a way that would enable persons with disabilities to make as informed a decision as possible. This approach is commonplace in many countries which have the long-standing tradition of applying no suffrage exclusions for persons with intellectual or mental disabilities. Unlike Poland, such countries do not have any constitutional provisions effecting the blanket or automatic disfranchisement of legally incapacitated persons. A discussion on addressing the problem has been going on in Poland for some time now. In principle, there are two options how to solve the problem. The first one is to amend the Constitution. A constitutional reform is a lengthy process but its launch would mean that Polish authorities are sensitive to the problems faced by persons with disabilities. The second option is the total abolishment of incapacitation as a legal measure. Even though this avenue is considered and concepts of amending the Civil Code are being developed, the change is rather unlikely to happen during the current parliamentary term. However, the upcoming EP elections pose a far more serious problem. Since the Constitution’s Article 62 does not mention the European Parliament polls, any restrictions on the electoral rights of legally incapacitated persons apply exclusively to domestic elections. It is thus arguable that the provisions of the Electoral Code which deprive incapacitated persons of their right to vote in the European elections are unconstitutional, as they introduce a restriction of civil rights without an explicit constitutional basis. Moreover, such a restriction is required by neither the European Treaties nor the EU Charter of Fundamental Rights. To the contrary, a review of EU laws on counteracting discrimination based on a disability results in the conclusion that Member States are indeed obliged to act to ensure that persons with disabilities can participate in elections. It should be also noted that the EU has ratified the UN Convention on Rights of Persons with Disabilities, so any elections organized with the EU domain should follow requirements of this Convention. This means that all legally incapacitated persons who wish to vote in the European Parliament elections will have a real chance of winning a case not only before the Polish Constitutional Tribunal, but also the European Court of Human Rights. There are about 70,000 incapacitated persons currently living in Poland. Theoretically, if they expressed the wish to take part in the vote and then sought remedy before the ECtHR, Poland may be facing large amounts of damages. In Strasbourg, Alajos Kiss received EUR 3,000 as compensation for the violation of his rights. Still, it is not about money, but about changing the attitude of those in power. Instead of openly ignoring problems faced by such a large group of people, authorities should pro-actively act for their full inclusion into the social and political life. 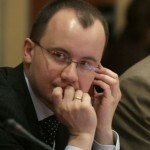 Also, the European Commission should consider taking this issue into interest, due to potential conflict of national laws with the EU law.The Constitution of the Republic of Poland provides, in Article 62, that citizens of Poland have the right to elect the President, Sejm deputies, senators and members of the local government bodies. Pursuant to subsection 2 of the article, certain groups of people, including legally incapacitated persons, are deprived of the right to vote. This means that all legally incapacitated persons who wish to vote in the European Parliament elections will have a real chance of winning a case not only before the Polish Constitutional Tribunal, but also the European Court of Human Rights. There are about 70,000 incapacitated persons currently living in Poland. Theoretically, if they expressed the wish to take part in the vote and then sought remedy before the ECtHR, Poland may be facing large amounts of damages. In Strasbourg, Alajos Kiss received EUR 3,000 as compensation for the violation of his rights. Still, it is not about money, but about changing the attitude of those in power. Instead of openly ignoring problems faced by such a large group of people, authorities should pro-actively act for their full inclusion into the social and political life. Also, the European Commission should consider taking this issue into interest, due to potential conflict of national laws with the EU law. SUGGESTED CITATION Bodnar, Adam: Wahlrechtsausschluss für Entmündigte: Auf Polen kommt Ärger zu, VerfBlog, 2014/3/09, https://verfassungsblog.de/wahlrechtsausschluss-fuer-entmuendigte-auf-polen-kommt-aerger/.